Pet Sematary (film, 2019). A 2019 American supernatural horror film with "R" rating by Paramount Pictures. Directed by Kevin Kölsch, Dennis Widmyer. Official Trailer. 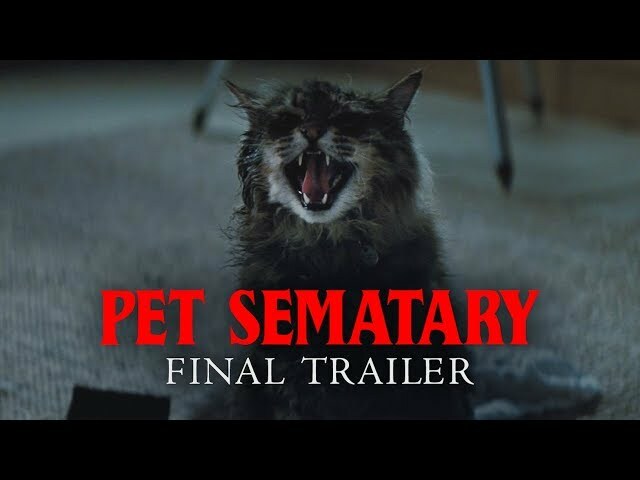 Pet Sematary is a 2019 American supernatural horror film directed by Kevin Kölsch and Dennis Widmyer. 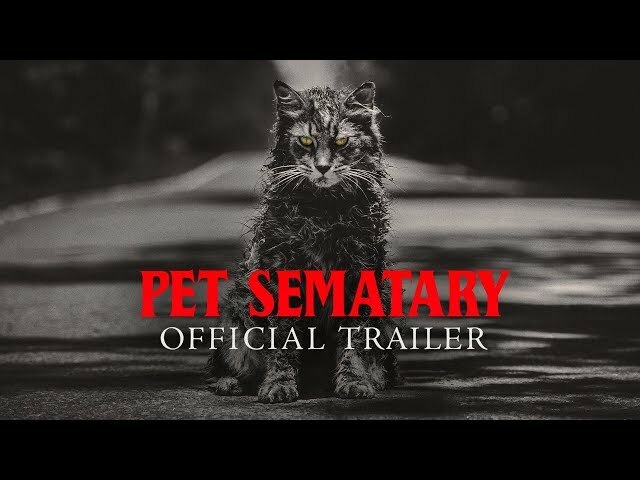 Pet Sematary (2019) - Final Trailer - Paramount Pictures. Louis Creed, a doctor from Boston, Massachusetts moves to the small town of Ludlow, Maine with his wife Rachel, their two young children, Ellie and Gage, and Ellie's cat, Church. Whilst exploring the woods surrounding their new home, Ellie stumbles across a procession of children wearing animal masks taking a deceased dog to a cemetery, noting a sign reading "Pet Sematary." Jud Crandall, their neighbor, warns Ellie and Rachel that the woods are dangerous and not to venture out alone. At the university hospital, Louis is left shaken after failing to save the life of Victor Pascow, a student who has been fatally injured after being struck by a vehicle. On the night following Pascow's death, Louis experiences a vivid dream in which he meets Pascow, who leads him to the back of the cemetery and warns Louis not to "venture beyond". A disturbed Louis awakens to find his feet and bed sheets caked in mud, suggesting that the evenings previous events were more than just a nightmare. On Halloween, Church is killed by a truck. Jud takes Louis to the Pet Sematary, supposedly to bury Church, however he leads Louis farther to an ancient burial ground. The next day, Louis is stunned when Church returns home alive, although he is notably more aggressive, scratching Ellie and violently ripping open a bird. Louis confronts Jud who tells him that the burial ground behind the Pet Sematary is able to bring things back from the dead and is believed inhabited by a spirit known as the Wendigo. After Church attacks Gage, Louis attempts to euthanize him, however he decides against killing the cat and instead releases him onto the highway before telling Ellie that he ran away. Principal photography commenced on June 18, 2018 in Toronto, Ontario, Canada. 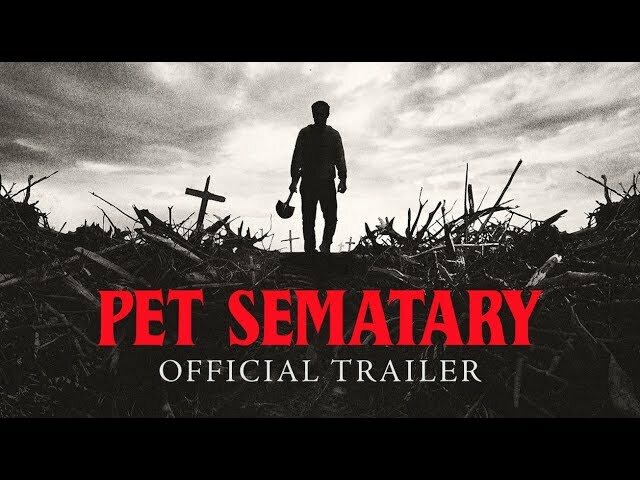 The film Pet Sematary was scheduled to be released by Paramount Pictures on March 16, 2019 (SXSW), on March 17, 2019 (SXSW), on April 4, 2019 (Germany) and on April 5, 2019 (United States). The duration of the film is 101 minutes. With a budget of $21 million, the film grossed over $81.9 million. 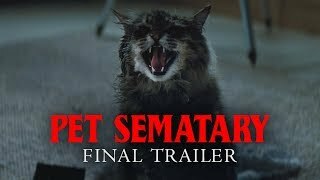 Pet Sematary got average rating from critics. The audience dislikes the film either. Audiences polled by CinemaScore gave the film an average grade of "C+" on a scale ranging from A+ to F.